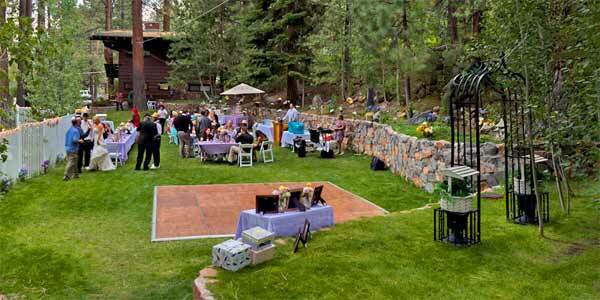 Lake Tahoe's best value for beautiful outdoor weddings! Overview: At Tahoe Weddings and Special Events specializes in affordable weddings in Lake Tahoe that are still so breath-taking, your guests won't know that you didn't pay the big bucks! Wedding ceremonies, receptions and special events are held poolside or on the manicured lawn, nestled in the beautiful surroundings of the Sierra Nevada Mountains. Let these experienced event coordinators help plan every detail of your perfect wedding! 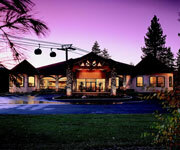 What to Know: At Tahoe Weddings and Special Events goes the extra mile to make Lake Tahoe weddings, receptions, family reunions and other special events affordable, enjoyable and stress-free! 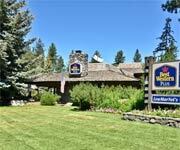 Stunning Views: While they specialize in hosting affordable weddings in Lake Tahoe, the breath taking views of the Sierra Mountains that surround the Lawn Terrace are priceless! You couldn't buy a better view than this for your big day! Private Suites: While the bridesmaids help the bride get ready in their own spacious one-bedroom suite, equipped with enough mirrors for all and a kitchenette too, the groom and his party will have their own separate suite to shake off their pre-wedding jitters in anticipation! Every wedding, reception and special event booked at the At Tahoe Weddings & Pine Cone Resort receives two fully-furnished suites to relax and enjoy in as you get ready! 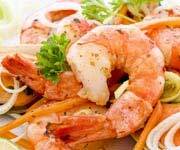 Poolside Events: Enjoy your rehearsal dinner and reception poolside! The pool is heated to 82 degrees from June to September, and makes the atmosphere inviting and relaxing, or extremely fun-filled, during every event. Inside Knowledge: This is the perfect destination for outdoor weddings in Lake Tahoe, an area known for getting over 300 days of sunshine a year! You're more than likely going to have beautiful weather, but At Tahoe Weddings & Pine Cone Resort is fully prepared to cover your outdoor wedding pavilion with a water-proof tent if the sun isn't shining. This pavilion canopy is held by a beam, so you don't have to worry about the poles that hold up a tent blocking shots in your wedding album! At Tahoe Weddings and Special Events provides a beautiful venue for affordable and intimate outdoor weddings in Lake Tahoe! This charming venue can accommodate up to 150 guests for weddings, receptions and specials events. The experienced and caring event coordinators can help you plan a special event without all the worry and hassle at a great price! 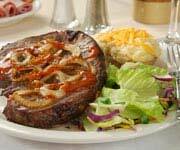 Need a place to have a rehearsal dinner? 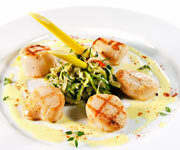 Austin's Restaurant Tahoe Is A Comfort Food Restaurant. 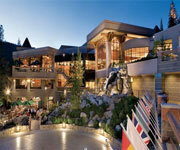 Check out other wedding services in Tahoe. 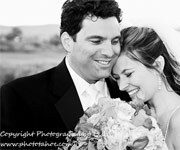 Leslie Timmerman Photography Lake Tahoe Shoots Gorgeous Wedding Photography. Award-winning, AAA Four-Diamond Luxury Resort w/complete selection of wedding services! *Some images shown above are not actual photos from the service, but category representations. Visit the service's web site for actual photos. Need a romantic place to stay? 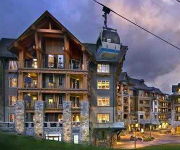 Forest Suites Resort at Heavenly Village offers hotel rooms & oversized suites that sleep 4-6 adults. 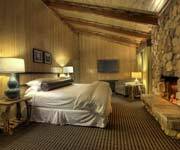 Comfortable hotel rooms, suites and cabins in a convenient location for every season you're traveling!